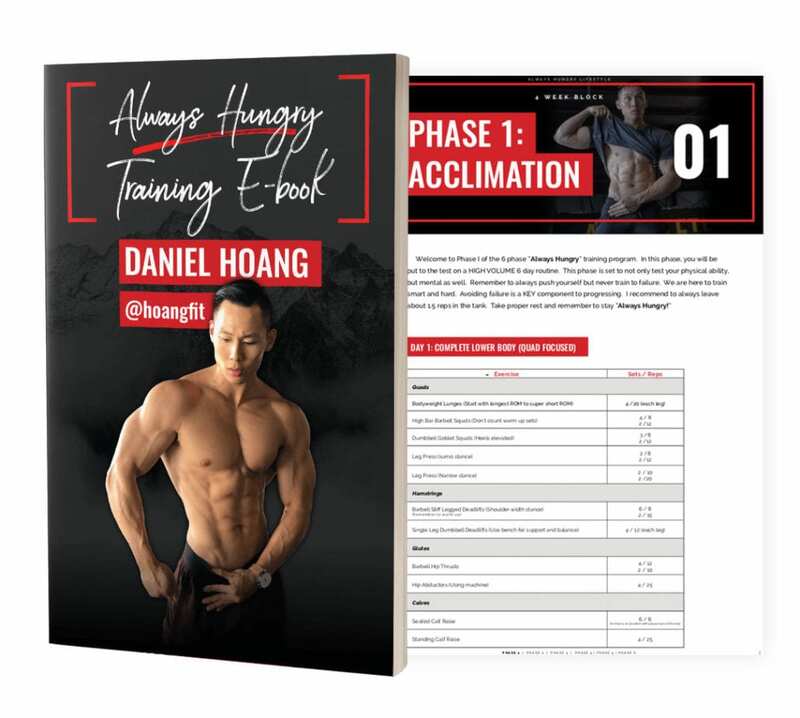 Daniel Hoang (better known as Hoang Fit) has a very large following and successful online training business, but had not automated that process before. He was ready to roll out a new, extension training ebook, but needed to team up with the right person to make that happen. Together, we were able to put together a 6-phase, 24-week training ebook for Daniel to sell on his website. The ebook breaks down every single workout in each phase by individual exercises and comes with a full training log to track your progress as you go through the program. I not only designed the Always Hungry Training E-Book, but also helped to come up with the layout and navigation of the book. I wanted to not only create a visually-appealing training guide, but one that would also be incredibly easy to follow along with. Each phase is broken up into individual workouts, and each workout is broken up by bodypart for easy use. Along the bottom of each page is a navigation, so when you’re viewing the pdf you can easily hop between phases, skip ahead, or reference earlier workouts. Along with the ebook, I put together a full training lot for people to be able to log their workouts throughout the entire program. By breaking up the logs into individual phases, it’s incredible easy for someone to log their exact sets, reps, and weight, and track them week to week. 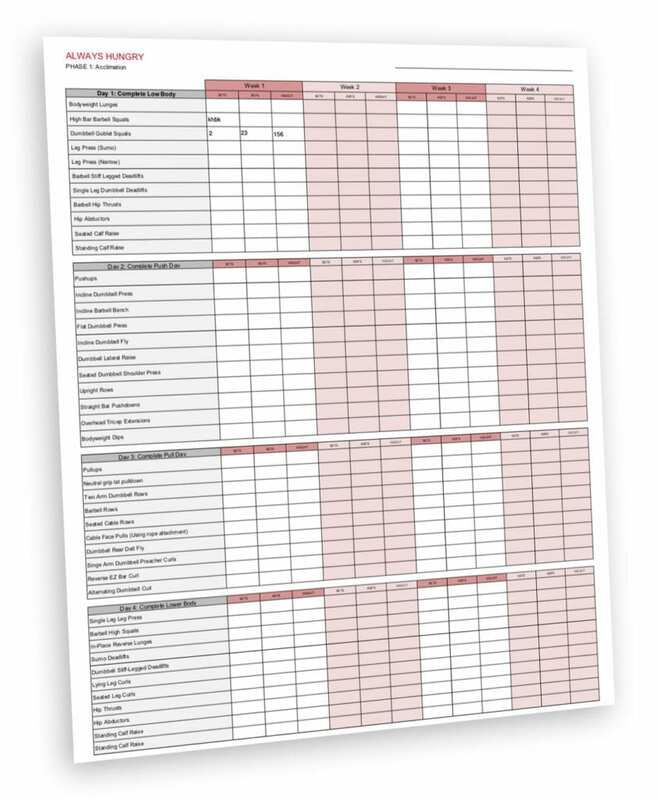 The training log can either be used electronically and filled into a spreadsheet, or printed out and brought to the gym for easy logging.